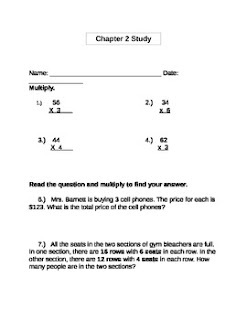 This covers chapter 2 in the Go Math! series. These sheets include multiplication of 2-digit by 1-digit numbers and 3-digit by 1-digit numbers. 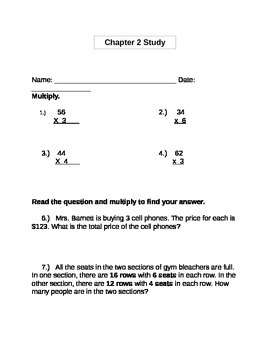 Word problems are also included short answer and multiple choice.